Los Angeles, CA (3 January 2018) – Arecont Vision®, the industry leader in IP-based megapixel camera technology, announced today that Jemez Technology LLC has joined the Arecont Vision Technology Partner Program. Jemez Technology provides the industry's most advanced and cost-effective video surveillance technology for critical asset protection. Eagle-i VIR systems are designed for real-time threat detection and tracking, while simultaneously providing the highest degree of situational awareness to first responders. Traditional video surveillance systems often fall short of this measure. The Jemez Technology products are proven superior for long-range, wide-area, and day/night surveillance applications - when motion detection, simple trip wire detection, and direction tracking routines in standard video analytics won't get the job done. Through the Arecont Vision Technology Partner Program, sales, development, and support contacts are established between the two companies to better engage with end user customers and integrators, integrate new features and technology, and quickly resolve any customer support issues. 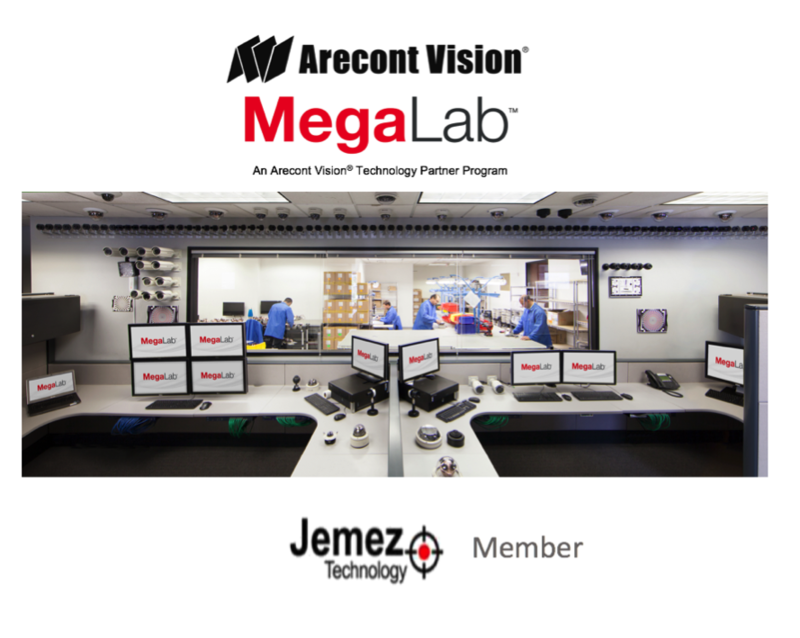 As part of the program, Arecont Vision cameras are in the Jemez Technology test labs, while Jemez Technology software is available in the Arecont Vision MegaLab™ test and certification facility. Jemez Technology provides advanced image processing technology delivering dramatically enhanced perimeter and area surveillance for critical infrastructure protection. The company was founded by former scientists with the Los Alamos National Laboratory, bringing decades of national security experience to its products and services. The company's flagship product, Eagle-i VIR™, is the industry's most advanced video surveillance solution for threat detection, analysis, tracking, and first-responder notification.